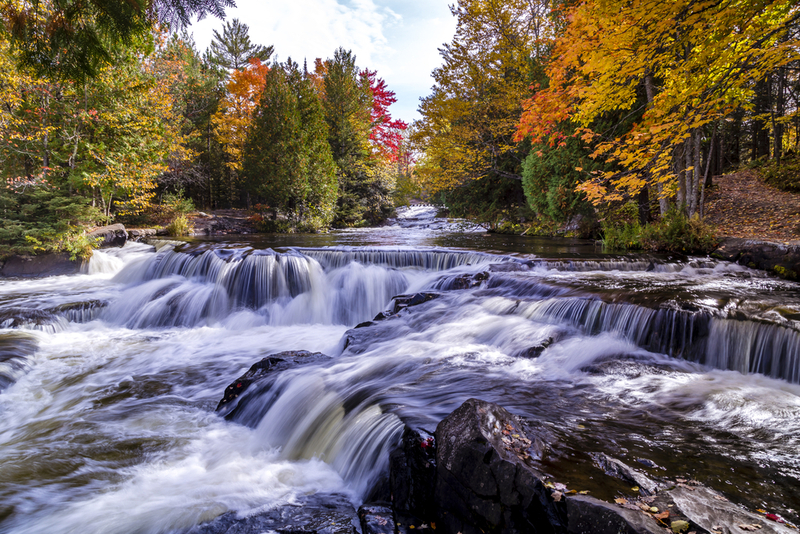 Michigan is home to over 300 waterfalls, with all but one of them being located in the Upper Peninsula. From charming five foot falls to roaring 50 foot vertical drops, here are some of the finest waterfalls to be found in Michigan. 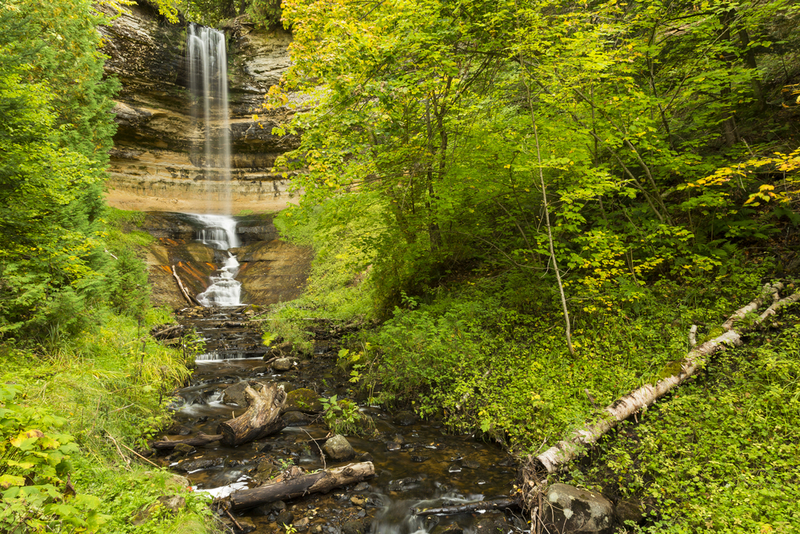 The Munising Falls is one of the most breathtaking waterfalls in the entire country, with a 50 foot drop that cascades into a sandstone canyon, creating quite the picturesque scene. Accessing the main viewing platform requires a quarter mile walk through the woods along a paved trail, and there are also two other viewing platforms to be found via staircases. This is one of the most iconic falls in the state, because, in the winter months when the water freezes over, it becomes a prime spot for ice climbing. While the steep, sheer waterfall drops of the state may receive the most press, the five foot tall Haymeadow Falls is still definitely worth a visit. Although it may not be the tallest or widest waterfall in Michigan, it offers a wilderness setting that is filled with serenity and beauty, and with a trout fishing stream and a campground located just nearby, this is the perfect place to spend the night if you want to really immerse yourself in some of Michigan’s natural beauty. While the Gabbro Falls are one of the most spectacular in the state, they are also quite the hidden gem, meaning that you are likely to have them all to yourself when you visit. These waterfalls are created by the Black River, which makes two big drops, that total 40 feet, before plunging into the gorge. Since the gorge blocks part of the view from below, the best place to take in these falls is from the viewing platform above, which can easily be accessed by a short trail that starts at the main road. Listed by the state as the Bond Falls Scenic Site, the Bond Falls are considered to be one of the best waterfalls in the state, as they boast an impressive width of over 100 feet. Trails to the falls begin at a picnic area located at the top of the waterfall, and there is also a new walkway that crosses the river at the base of the falls, providing the perfect viewing opportunity. The Tahquamenon Falls is one of the largest waterfalls east of the Mississippi, and is so immense that it even has a state park named after it. With a width of over 200 feet, and a drop of almost 50 feet, this waterfall gushes 50,000 gallons of water each and every second, giving you some idea of its incredible power. Michigan’s waterfalls are captivating no matter the time of year that you visit. From the green moss highlighting cerulean water in the summer months, to the crimson leafy frames created in the fall, to the frozen ice falls in the winter, each season transforms the state’s waterfalls into a whole new experience.